The moment I knew I needed to lose weight was in 2013, when I was living in Florida and went to Orlando with my wife and daughter. When I took my daughter to the theme parks, I knew I’d never be able to fit in any ride, and when we picked oranges in the groves I felt like I was going to have a heart attack. But the worst moment was on the way home, when we stopped at a diner. I sat down at the booth and it was so painful; the booth was literally cutting into my swollen stomach. I knew then that I had to make a drastic, long-term change, and not just drop a quick 20 pounds. As soon as we got home, I went to Bed, Bath & Beyond and bought a scale that would go up to 400 pounds, then spent the evening researching DietBet. I knew that I needed to commit to a big change, and short of getting on The Biggest Loser, DietBet seemed like the best thing to hold me accountable in the long-term. That evening, November 11, 2013, I weighed in for the first time and never looked back. Obviously, the incentive to not lose money helped, but DietBet also really brought out my competitive side. I became obsessed with never losing a dietbet, and doing back-to-back games until I met my goal. Ironically, the only person I was competing against was myself! I also enjoyed making friends, and sharing with one another the challenges that we all face in the battle of weight loss. Today, I run between five to six miles a day, and instead of driving I ride my bicycle to work and to most other places I need to go. I also spend more time with my daughter doing physical sports that I’ve never been able to do before. My weight loss journey helped me become more confident in myself. I’m no longer ashamed to be me. I don’t always eat everything that I should, but I now realize that I need to stay active, and that if I slip-up one day I should get back on track for the rest of the week. I have peace of mind knowing that physically I can do almost anything that I want, and that my weight is no longer holding me back. I’m definitely proud of what I accomplished, but more than that I want to help others make positive changes in their lives. 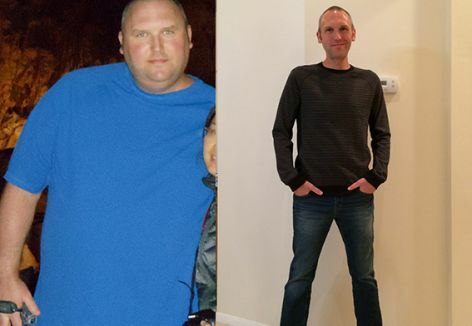 I want people to realize that while the weight doesn’t come off overnight, it is possible to achieve drastic weight loss at home, with no trainer and no gym. My dream is to become a DietBet Coach and try to share my experiences with people and help them achieve their goals.